This week we bring you minimalistic puzzle games that involve loads of momentum, a lovely and slightly dark RPG, and a mobile tron-esque, spaceship-controlling game. 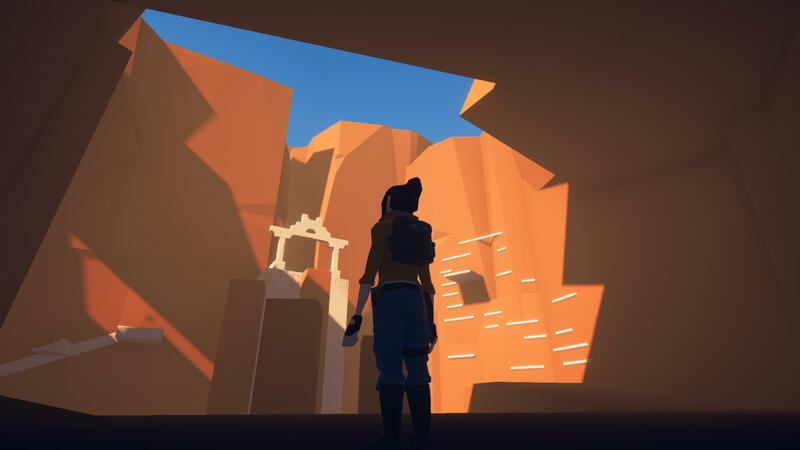 If none of those are what you are looking to sink your teeth into then you can check out a few game jam games; a minimalistic version of Tomb Raider or a game about setting marshmallows up with the best possible hot chocolate for them. Read on! circloO2 is a great little 2D physics-based puzzler in which you control the left and right momentum of a circle in order to reach goal points within each level. As you collect these goals, which are circles, the circular map expands to show more obstacles and a further circular goal. In case you’re not aware by now, there are a lot of circles in this game. Once you have collected around 7 goals the level is complete and you move on to the next. Some goals can be collected directly by your circle, others require you to knock another circle into it, and collecting them can sometimes have an effect on gravity — either increasing, reducing, or inverting it — these obviously make quite a difference to the way you traverse the map, and leads to some head-scratching puzzles. Available as a browser game or on Android, circloO 2 is fun, easy to pick up, hard to master game that’s well worth taking a look at. Dys feels like an intersection between Phantasy Star dungeon crawlers, darker horror anime aesthetic, and the classic 1997 suspense thriller film “Cube”. This awesome game comes from the brilliant mind of L.O.V.E Games Studio (which also produced the incredible Rxcovery and Mouth Sweet). This game developer has a history of taking RPGMaker to the limits and beyond by setting unique moods, flavors, art, and writing. Also, everything about these games is extra queer, and I will sing about that to the moon and back, always. In Dys, you play as a band of inmates in an ever-changing, interdimensional space prison — one which somehow bends back and forth between time. As a bi-product of these living environments you all have acquired ESP abilities and plan to use them to break out. There are two modes to Dys, one where you escape after finding your way through 20 levels, and one which you can never escape from: just a never ending grind of rpg character development. I am personally not really into that kind of grind, but the amazingly crafted soundtrack, unique monster designs, cool-as-heck character skill sets, (Brain Doctor! Riot Queen! One character can pray every round and create random effects by recalling memories about baking or getting drunk!) and overall mood of the game keeps me playing. This is an RPGmaker game, but in first person, which along with some sweet atmosphere noises really drops me into the horror of the universe. Every once in a while, it even feels like no matter how hard I look, I can’t find the door that this key is supposed to fit to. 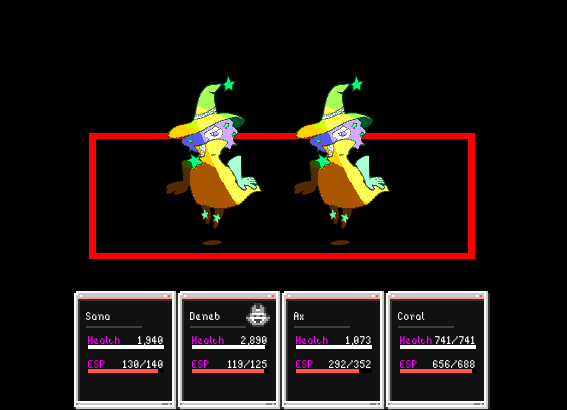 In other games, this would be an annoyance or a bug, but in Dys, it is further proof that we are all stuck in a never ending maze, and some of us feel like we will never get out. Extremely relatable, if you ask me! You can pick it up on Itch.io! 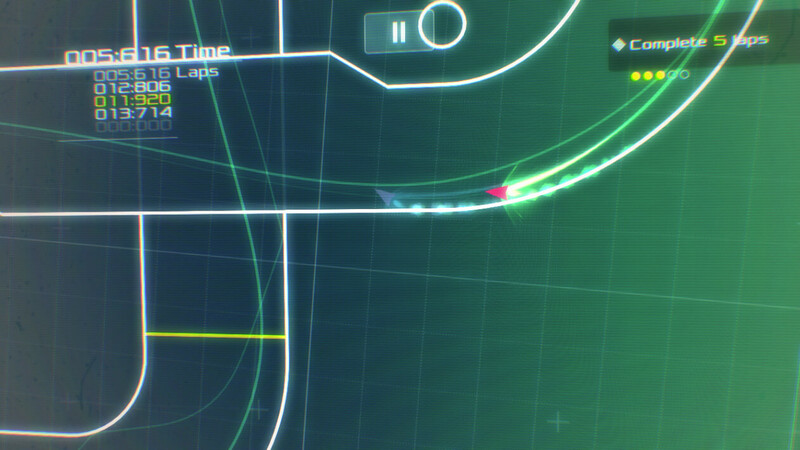 Data Wing is a great neon-glowing, Tron-esque digital spaceship game. Arcade gameplay at its finest, its several different modes — race, fastest lap and others — actually vary from level to level, but the goal as in most arcade games these days is lowest time. A ‘cyber-hacker’ storyline carries each section through with a humorous AI, who is always willing to crack jokes and ease the tension between sections of the demanding levels. A two-handed affair, Data Wing has you steering with one thumb and accelerating with the other as you drift off of walls in order to make it to the goal quickly. As you start to get used to the drifting controls, you will begin to learn to lock in the perfect angle to keep your ship moving fast with your booster against the wall and, after several retries, will have the layout of each of the 40 levels down. Check it out, as its completely free on Android and iOS — with no ads or in-app purchases! Minimal Raider, from Hedgefield, is a tribute to Tomb Raider and was released as a submission to the Tomb Raider Jam which ran from the 15th of October through until the 15th of January. Fans of the series which inspired it will recognise the keybindings, with rolling, jumping, clamoring and crouching all integral to Minimal Raider’s fifteen minute experience. Between the traps, the wall climbing and the strange reliance on levers, it really nails the Tomb Raider experience, and does it with a charming, low-texture aesthetic and clever vertical level design. It is also, as with the recent games’ tomb challenges, and many of the moments in the earliest entries in the series, a quiet experience — the pacing and intensity entirely player led. It makes for a really fun little adventure experience. 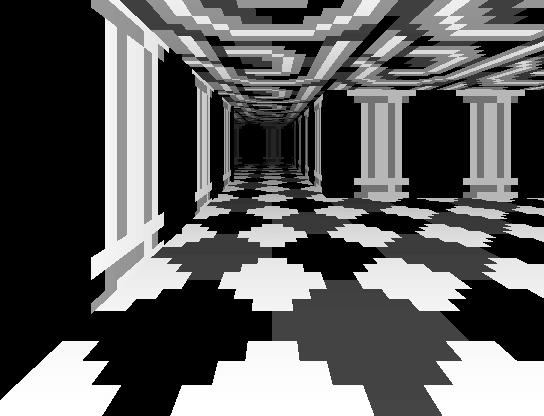 You can download the jam build over on Itch. It runs on both Mac & Windows PCs. Marshmellow Day Spa is an adorable puzzle game about creating the perfect hot chocolate bath for each of the marshmellows looking to relax. Made for the Winter Jam 2018, there are a lot of tasks to make the best hot cocoa for each customer. At the bottom of the screen, you can see what’s needed for each colored tub; temperature of the water, type of milk, type of chocolate, and any sort of toppings they have requested. You must start with the first thing listed: the temperature of the water inside the basin. Going over to the various tubs, you can hold down the interact key to bring the temperature up. From there, you must move to the kitchen and grab the chocolate required, go across some moving platforms to grab the right milk, and find whatever toppings are needed, which are scattered around the room. Once everything is inside the correct tub, you can ding the bell, allowing the marshmallow to go into their perfect mix. You need to get as many tubs ready for as many marshmallows as you can, before the time has ended. The more happy marshmallows the better! Marshmellow Day Spa is a simply joyous little game. You can pick Marshmellow Day Spa up on itch.io.